The UK’s leading independent job board, CV-Library, has today launched a new specialist job site, focussing on the marketing industry. Marketing-Jobs.co.uk is now live and is officially part of The CV-Library Group, helping to connect the very best marketers with job opportunities across the UK. This new site will ensure that employers using CV-Library to advertise their marketing jobs will receive more high quality traffic to their vacancies, with the job board already receiving over 28,000 applications for marketing jobs every month. What’s more, with over 348,000 marketing CVs registered, the new site will help candidates across the industry to find their next role. 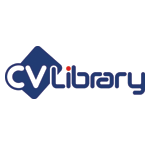 The CV-Library Group is home to a growing number of UK job sites, including CV-Library, Sales-Jobs.co.uk, EngineeringJobs.co.uk and the BritishJobs Network. The Group's specialist job sites deliver thousands of additional applications to the 180,000 jobs posted on CV-Library.co.uk.